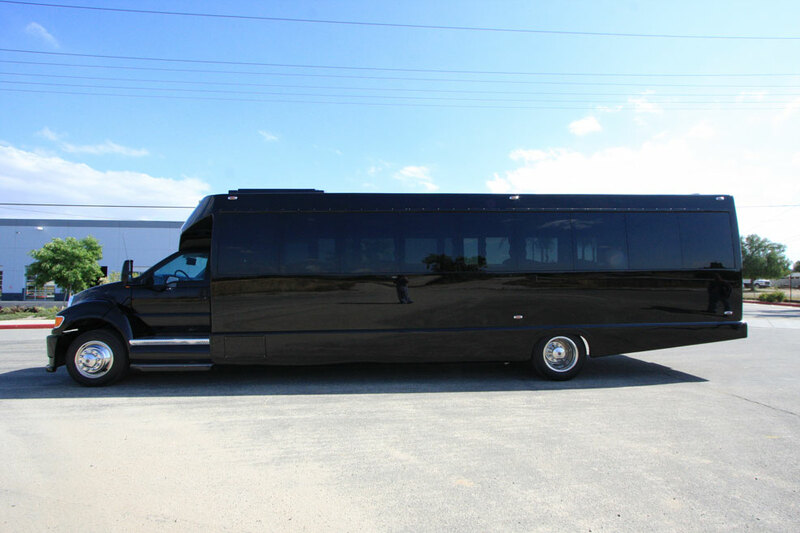 JMI Limousine is proud to offer our Executive Limo Bus, luxury transportation unlike any other! 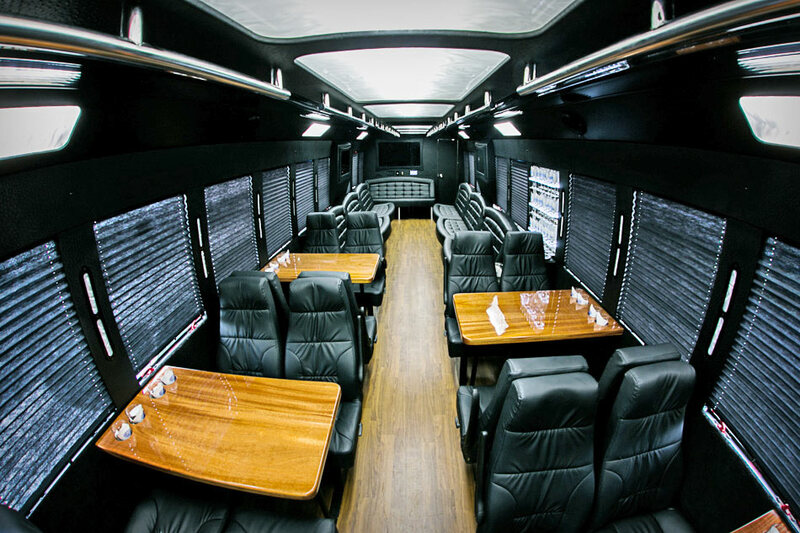 If you’re a business executive looking to make an impact on a special client or simply providing transportation for a company event, our Executive Limo Bus is sure to impress. 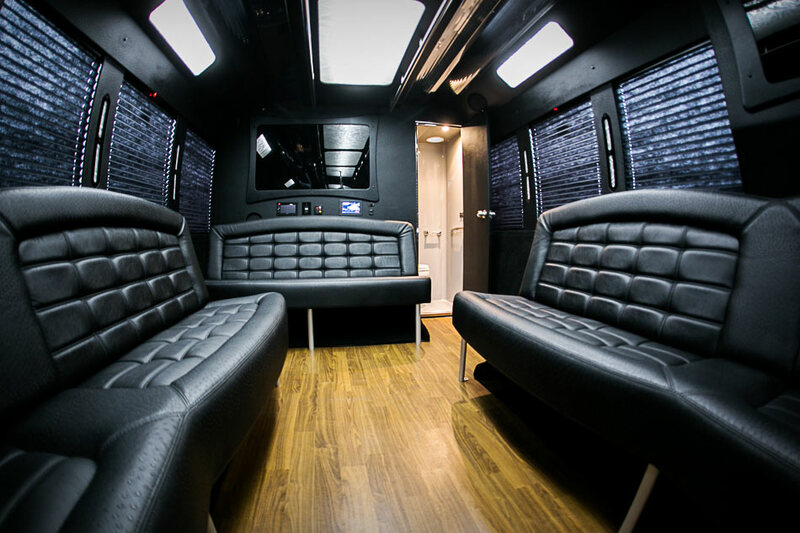 This is a one-of-a-kind luxury vehicle designed to seat up to 42 passengers and features amenities that are perfect for entertaining business professionals. It provides comfortable seating options including reclining executive chairs and couches upholstered in the softest ostrich textured leather. 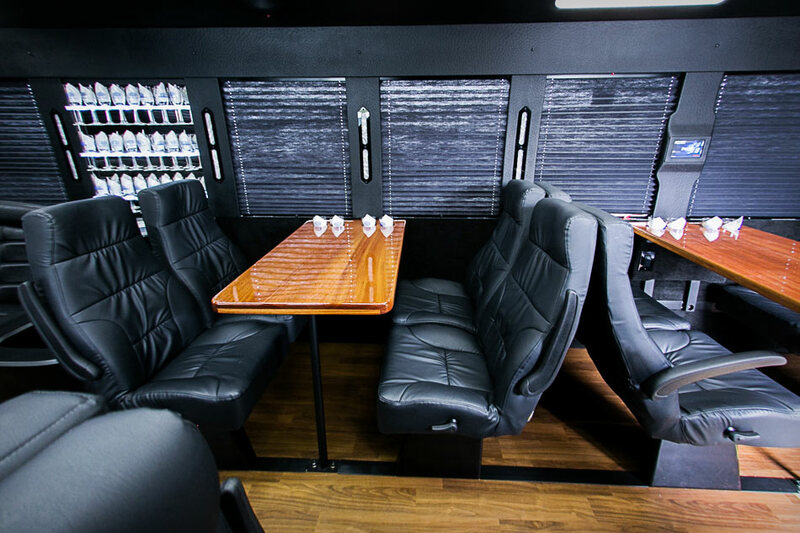 If your guests need to work while riding, there are 4 executive tables and privacy curtains. Our 5 flat screen HDTVs have HDMI inputs, giving you the ability to conduct presentations easily.